Ingrid Pasco is an experienced Realtor in San Diego and North County San Diego with an exceptionally keen real estate knowledge. Her expertise and network have allowed her to achieve record-breaking prices for her sellers and to secure winning bids for her buyers. From vetting the potential of a property to closing the transaction, Ingrid is a trusted advisor making sure she understands her clients’ objectives. 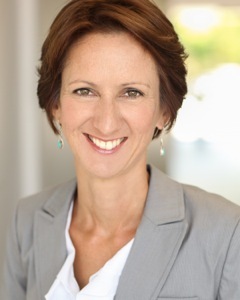 With a bachelor’s degree in law and a strong background in real estate as a former Parisian portfolio property manager, Ingrid provides excellent results through proven strategies and outstanding negotiation tactics. Ingrid is passionate about her work and shows commitment and expert handling of real estate services with diligence, responsiveness and an engaging professionalism. Ingrid is a board member of the leadership associate council of Keller Williams Realty in Carlsbad. When she joined the office in 2011, she established her own international real estate presence with the creation of French Note Realty. She is uniquely positioned to market her seller’s properties worldwide in this competitive market.